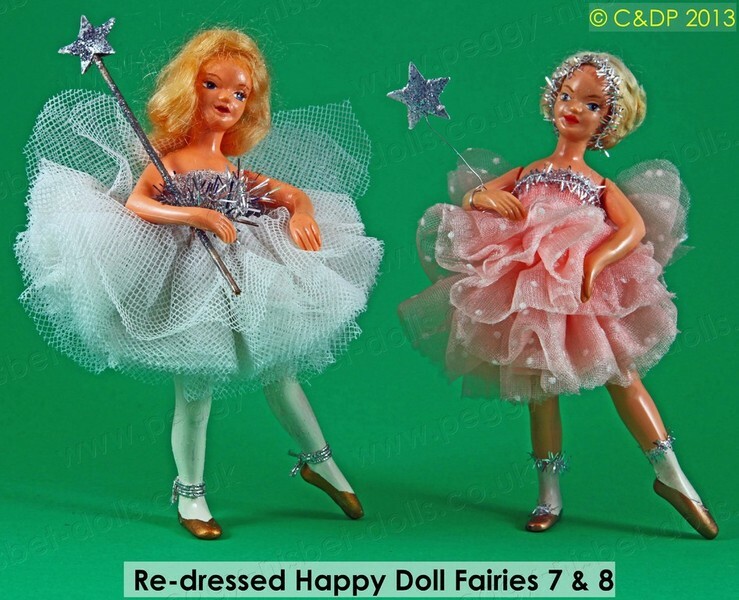 "Re-Dressed Nisbets" is a term we use to describe original Nisbet Dolls that have been re-dressed as a completely new character - That is, one who was never in the original Nisbet range. Over the years, we have seen a number of these, and it has to be said that the success of the re-dressing depends on the skill and imagination of the re-creator! 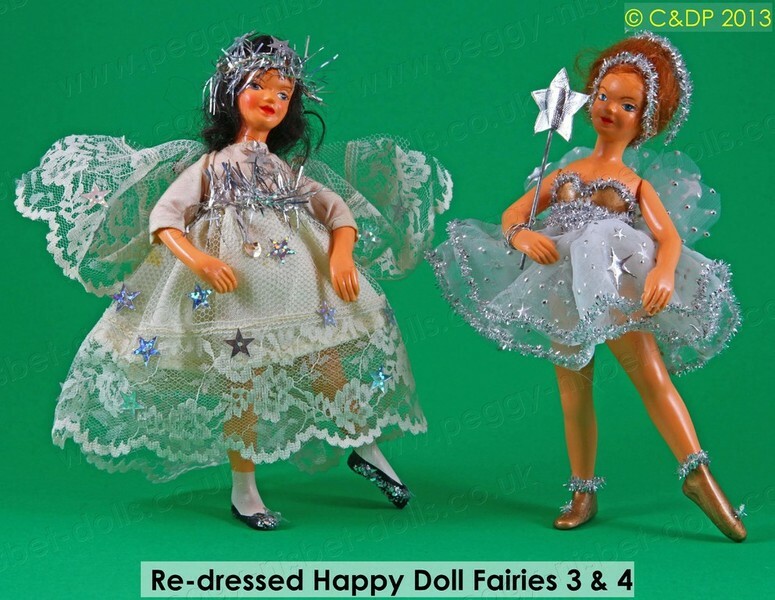 We must point out that provided the sellers of re-dressed Nisbets are happy to admit to their doll's recycled history, and are not trying to suggest that they are rare and unusual Peggy Nisbet originals, they are commiting no crime! 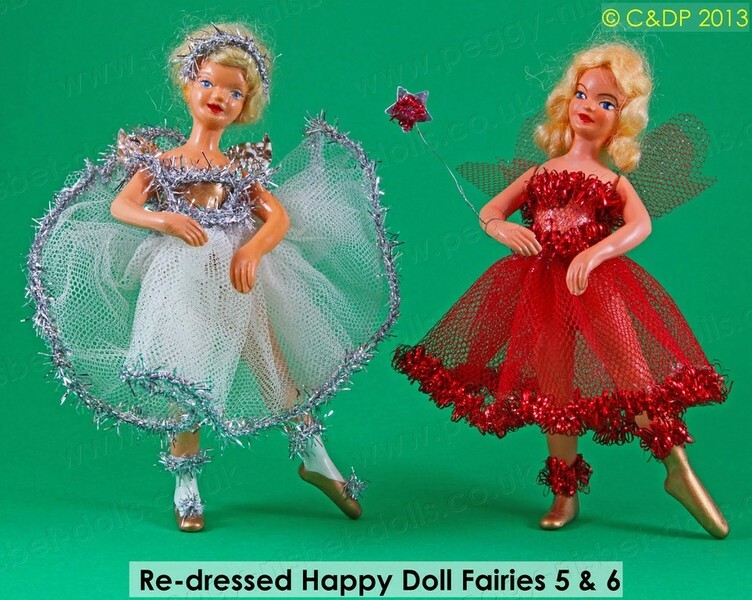 In the window below is a short slideshow starring a group of Happy Dolls who have been imaginatively re-cycled and re-clothed as a series of Christmas Fairy dolls. They may not be 100% Nisbet authentic, but do have a lot of charm; They live in our collection, and we proudly bring them out to stand under our Christmas Tree each year! 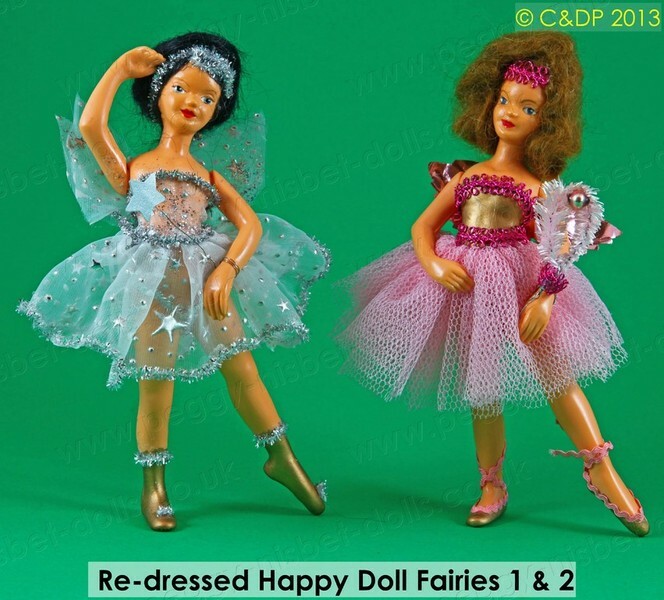 They also serve to show that you can't keep a good doll down - Even when their original outfits have long since given way to the ravages of time, they show that with a bit of imagination, some TLC, and new outfits, these old dolls can have a new lease of life, and will continue to give pleasure for many more years to come!